A common thread through many aspects of the work of Helford Geoscience, whether in understanding the source areas for Cretaceous sandstones, examining forensic exhibits or exploration is provenance — the understanding of the source of materials. 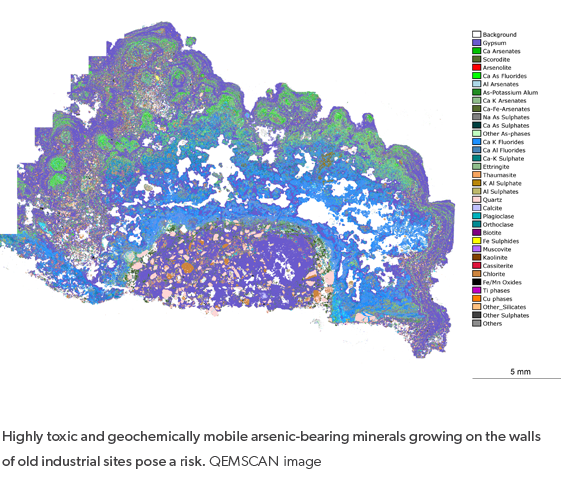 Through a strong background in research Helford Geoscience apply analytical methods in understanding the provenance of contaminants such as nuisance dusts, waste streams and toxic materials in the environment. In archaeological science Helford Geoscience work have utilised automated mineralogy as a tool to characterise a wide range of materials, which then allows their original provenance to be determined. This approach has also been used as a way to scientifically test reported find sites of artefacts. that even here there are environmental contaminants from past industrial activity. 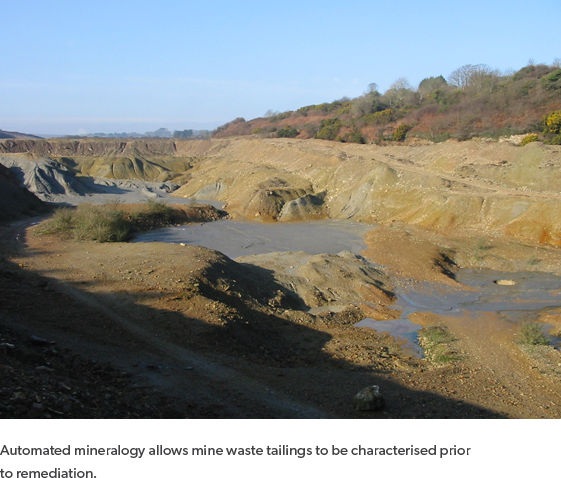 Helford Geoscience use automated mineralogy as one approach in the characterisation of inorganic environmental contaminants. These contaminants might include nuisance atmospheric dusts, volcanic ashes, particulate waste streams or toxic materials. With our archaeological colleagues we have pioneered the analysis of ancient pottery through using automated mineralogy to determine the processes of manufacture and the sources of raw materials. We can also offer a wide range of mineralogical services to assist archaeological and geoarchaeological projects. Work has included the analysis of historical construction materials (building stone, renders, mortars etc). 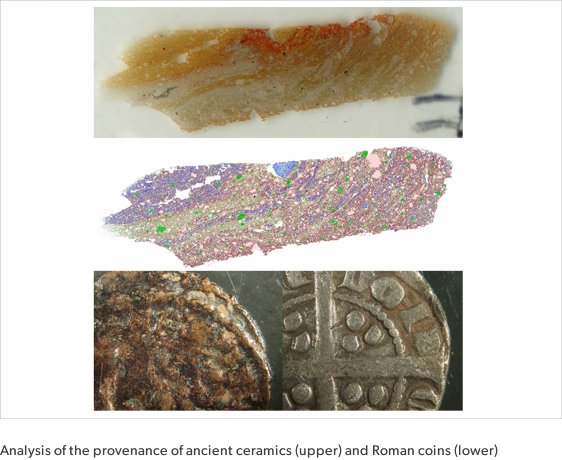 In addition we have used our expertise in soil forensics to test the reported find sites for artefacts through the analysis of adhering soils to test their real provenance. Our knowledge of exploration, mining and mineral processing can assist in projects investigation ancient mining activities.